Dip in and chill out. Immerse yourself in a wonderful world of wellness as you enjoy the wide variety of pampering and energising treatments and facilities on offer at the region's attractive public spas: a refreshing alternative holiday option, and not just for when the sun isn't shining. Many hotels also open the doors of their spas to non-residents. Icy hot relaxation in the snow. My source of power, fun, and entertainment - welcome to OVAVERVA! 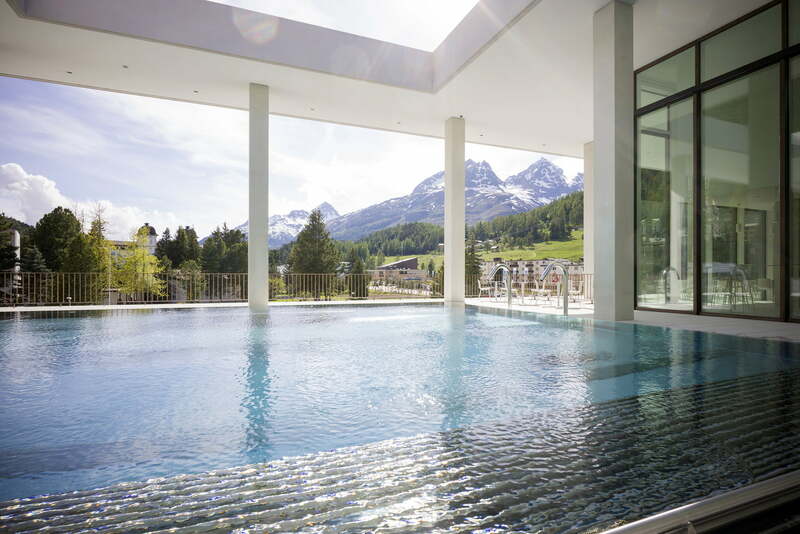 Switzerland's highest-lying mineral springs have promised relaxation and recuperation since time immemorial. The name says it all: the Bellavita Pool & Spa makes life more beautiful. Bathing bliss at all levels: a real gem awaits spa lovers in the historic heart of the village. The Sarazenen Spa is the new interpretation of the hamam and the renaissance of classic bathing culture. Palace Wellness is a unique place, created to stimulate the senses and enhance the state of wellbeing. At the Kempinski The Spa: on two levels and across 2,800 square metres, you will find the peace and relaxation you are looking for. Located in the mountains, under a blue sky and with a view over Lake St. Moritz. The Kronenhof Spa opens up new dimensions of relaxation and wellness. It is a cathedral of deceleration, blurring the boundaries between inside and outside. The hamam at the Hotel Castell is one of the most beautiful of its kind.